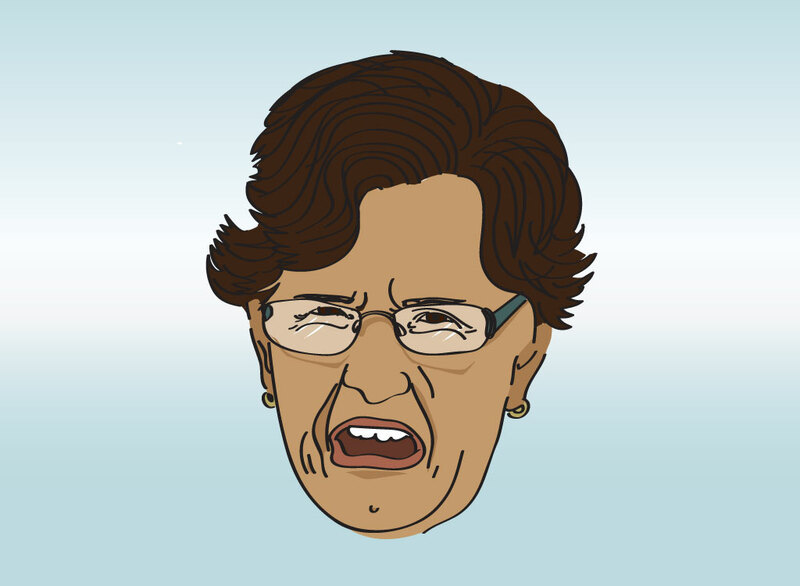 Hand drawn vector image of a cranky old woman who appears to be barking out some kind of bitter statement. Her eyeglasses, hairstyle and stern look make the free download a fun element for a humorous pinup image. Just add your personal statement in a chat balloon for a great cartoon. Tags: Angry, Crying, Expression, Face, Hysteria, Meh, Meme, Rage, Sad, Shouting.